Lately, my skyline view of Seattle has taken on a War of the Worlds vibe, with a dozen robotic, yellow cranes slowly coaxing partially-constructed condos and office towers to life. As of January, Seattle had the most cranes of any U.S. city—an indication of the massive development boom and citywide growth spurt. We’ve followed a similar trend at 2A. Founded in 2014, we’ve doubled our business each year, to the point where we outgrew our office space last month! But while the city invests in new construction to house its newcomers, we’ve opted for old construction for our new home. We’re still in Capitol Hill—this time our office is inside an old car dealership building. 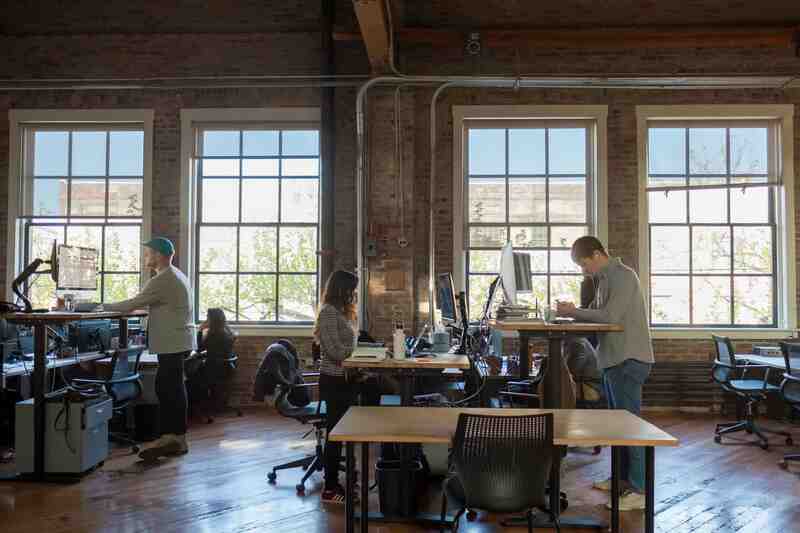 It was the right move for us, and we have a few things in common with the new, old space. They just don’t make ‘em like they used to, right?! There are a lot of details to appreciate in our new home—the arched row of bricks that hover above our 10-foot windows like eyebrows, or the Douglas fir floorboards that were painstakingly nailed in place long ago. This attention to detail is something we take to heart at 2A, and it aligns perfectly with our mantra to “touch every pixel” before our work goes out the door. Being surrounded by such craftsmanship is a good reminder to take pride in the details. If these walls could talk… As a relatively new city, Seattle doesn’t have a particularly long history, but it’s cherished in a way that keeps it relevant. 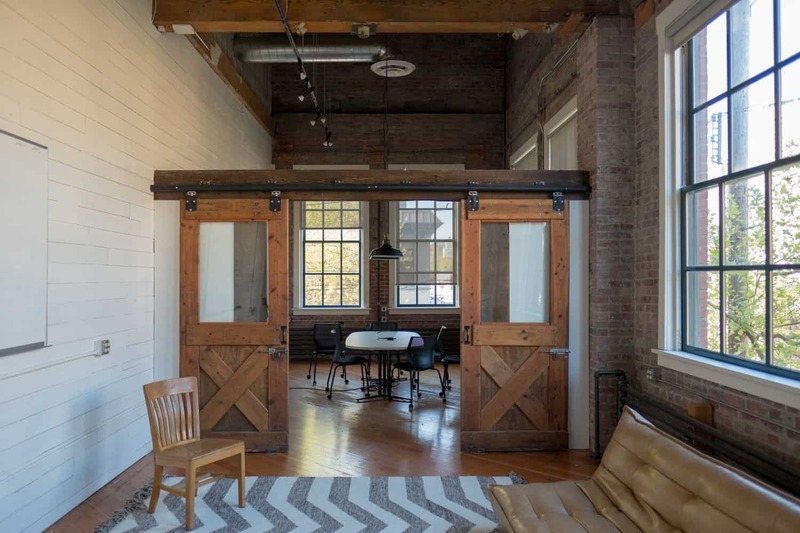 Built in 1912, the Pierce Arrow Motor Car Company used our office space as its showroom. Several other car dealerships followed suit after Pierce Arrow, until REI adopted the space in the 1960s as its headquarters. Just like us, our new home knows the power and allure of stories. One of the main draws of old buildings is their character. Whether that means the hot water doesn’t work, or the floor is slowly sinking, a building’s character sets it apart and fuels its intrigue. Our new home isn’t quirky to a fault, but there is a charming freight elevator circa 1900 that probably doubles as a time portal, I just have to find the right switch. At 2A we treasure our characters, and know that personality is what makes us stand out. 1508 10th Ave. isn’t the newest building on the block, but we’ve found our best fit in an old space.